Living out our call to show the love God has shown us to others Redemption Lutheran Church strives to help our community and those in need around us. Below are just a few of the ways we are reaching out. We are always open to more ways we can be of help, if you have a suggestion please use the contact us page to let us know. Turning Point is an after school center offering classes, retreats, and just general fun for students in the area. Redemption was a founding member of this non-profit organization that seeks to help kids be successful in school and life. Turning Point also provides homework help programs, arts programs, and weekend activities. 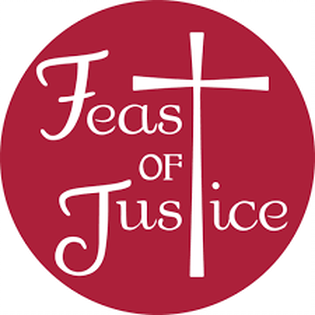 Feast of Justice is a lutheran ministry seeking to not just feed those in need but transform those in need. It seeks to feed those who are hungry but also to offer education and support to help transform the community and fight poverty in our community. Redemption Lutheran Church helps to raise funds, food, and donations for Feast of Justice. We also volunteer when we can. Gods work our Hands is a single day set aside by the ELCA where all ELCA churches do a service project in their community. Redemption has participated in God's Work Our Hands for many years. Each year is a new project, and the goal is to get outside the church walls and do something in the community.